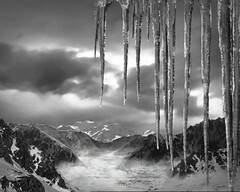 "Our spaceship crashed at the foot of the ice mountain. As we came out to investigate, a great avalanche of snow buried us. I will free them. Then we will return to the Red Planet!" 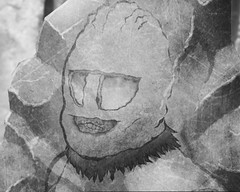 The Ice Warrior rises, clubs Jamie to the floor, and takes Victoria hostage. 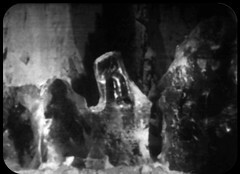 The Doctor bursts into Clent's meeting and explains his concerns about the Ice Warrior having come from another world: If his spaceship is still in the glacier and is nuclear powered it could cause an explosion when exposed to the Ioniser. Jamie then arrives and tells them the creature has taken Victoria. The Warrior tells Victoria that he is Vaaga and comes from Mars. His ship crashed here millennia ago, his warriors are still trapped in the glacier and he wants to revive them. The computer suggests Arden should investigate the spaceship: Jamie goes with him. Storr is weakening so Penley decides to return to the base for medication. Arden has difficulty getting a radiation reading on the glacier. Vaaga forces Victoria to find him powerpacks to defrost his warriors. Clent enters the room and is clubbed to the floor by Vaaga who leaves with Victoria. Penley finds Clent and is treating him when the Doctor arrives allowing Penley to leave with the drugs. Back at the glacier Vaaga uses his sonic gun to start digging the warriors out. Storr shows signs of recovery after treatment. Vaaga begins thawing his crew. 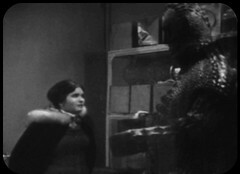 Vaaga sounds great in this and I know that Bernard Bresslaw , the actor playing him who was 6 ft 5 in (1.96 m) tall, would have towered over Deborah Watling, a mere 4 ft 11¾ inches(152cm!) high, producing a good visual image as the Telesnaps show. 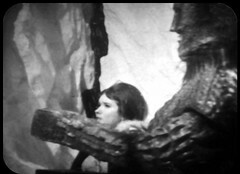 The trick of casting large actors has been used already with the Cybermen and Yeti towering over the relatively slight Troughton, it's here the idea meets it's fulfilment. Reading the book as a child I really thought the Varga/Victoria scenes were important so it's a shame that the visuals for these two episodes are missing. CLENT: Well, that'll be just too bad. Obviously I can't release men for an extensive search outside the base. DOCTOR: But she may be in danger of her life! You can't take that decision! CLENT: Very well. You want an impartial opinion? I shall ask the computer. JAMIE: Oh, not the computer. DOCTOR: It's a waste of time asking the computer. The base crew make me want to slap them for their reliance on the computer, but then the reliance on technology is really that's what this story is all about! ARDEN: Well, I shall need at least one guard. JAMIE: Well, what about me then? I could go with him. 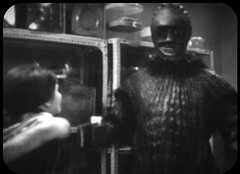 DOCTOR: Yes, he's a capable lad. CLENT: Well, the computer said one investigator only. DOCTOR: That was from your staff, Jamie's extra. GARRETT: The mission must be carried out. The computer has ordered it. 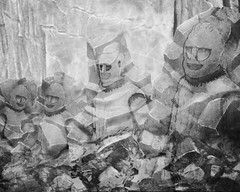 Hopefully when the DVD comes out a full reconstruction in the manner of Tenth Planet 4's vhs release will be attempted. 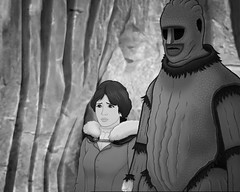 By the point DVD was released in 2013, one of the last regular titles in the series, animation had become the standard method of dealing with missing episodes. Unfortunately the style of the animation looks quite crude compare to previous stories, especially The Invasion and the movement doesn't look good at all. 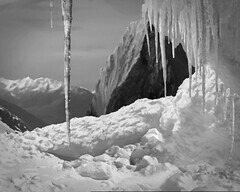 The closing shots of the Ice Warriors in the ice, something of a departure from what the telesnaps show aren't bad! 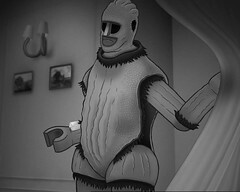 The Ice Warriors 2 & 3 are the only 2 episodes of the race's 22 episodes existence in Doctor Who that is missing. By contrast, until recently, only two of the Yeti's 12 episodes remain though thanks to the 2013 Web of Fear recovery that now stands at 6 out of 12. 22 Episodes from Dalek stories (totalling 81 episodes) are missing and 9 Episodes from the 41 the the Cybermen star in are also missing.